Benedict Cumberbatch Rescues Cyclist from Muggers Near Baker St.
Benedict Cumberbatch is a real superhero. Here's the proof he really is Doctor Strange. Benedict Cumberbatch may be too busy playing Doctor Strange to return for future Sherlock episodes. Holmes' demons are about to come to light in the new trailer for Sherlock Season 4, plus new details about how you can see the finale in theaters. Holmes and Watson have a bit of a flooding problem in a cryptic trailer for the highly-anticipated Sherlock Season 4. Get your first look at John Watson's baby along with the new villain played by Toby Jones in the first Sherlock Season 4 photos. Holmes and Watson return with the Sherlock Season 4 premiere early next year. Get your first look at Benedict Cumberbatch and Martin Freeman in the new season of BBC's Sherlock, which was revealed during Comic-Con. Get a glimpse at Benedict Cumberbatch's new canine sidekick in Season 4 of Sherlock, while producer Steven Moffatt hints at the show's future. 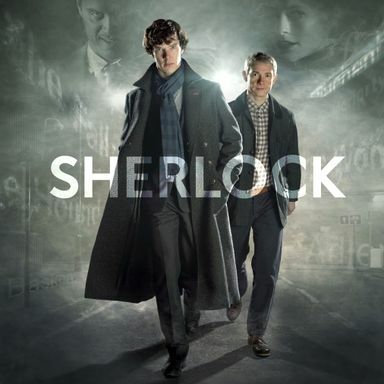 Production will begin in January 2015 on the Christmas special, with Benedict Cumberbatch and Martin Freeman returning as Sherlock and Watson later that year for three new episodes. Martin Freeman reveals that it's likely he will reunite with Benedict Cumberbatch to shoot a Sherlock Christmas special in early 2015, but a full season probably won't happen. Martin Freeman isn't sure when they may be able to shoot this special, or when Season 4 even begins production. Charles Augustus Magnussen leads Sherlock into a long conflict with His Last Vow, will this be the end of Holmes? Find out Sunday, January 12 on BBC One. Check out more footage from the season's second episode, 'The Sign of Three.' Plus, go behind-the-scenes with Benedict Cumberbatch and Martin Freeman. A lot has changed in the two years since Sherlock Holmes went into hiding. Take a look as new episodes premiere January 1 on BBC and January 19 on PBS. This 7-minute tease bridges the long gap between the end of Season 2 and the beginning of Season 3. Written by series creator Steven Moffat and Mark Gatiss. YouTube user Josh Smith finds a way to bring both Steven Moffat shows together. Plus, we have a VFX breakdown video that shows how this trailer was made. The legendary detective explains his motives in this latest look at the returning series. The three episode run debuts Wednesday, January 1. Sherlock Lives! The Empty Hearse will be followed by two more 90-minute episodes later in the month. The videos debuted before theatrical presentations of the Doctor Who 50th Anniversary Special. Take a look at what's in store for these three programs. Both of the critically-acclaimed series are back January 19th, 2014. The network has announced several other programming highlights for 2014.